I am interested in Israel and national security law but I am not currently employed in the field. Am I eligible to apply for the trip? 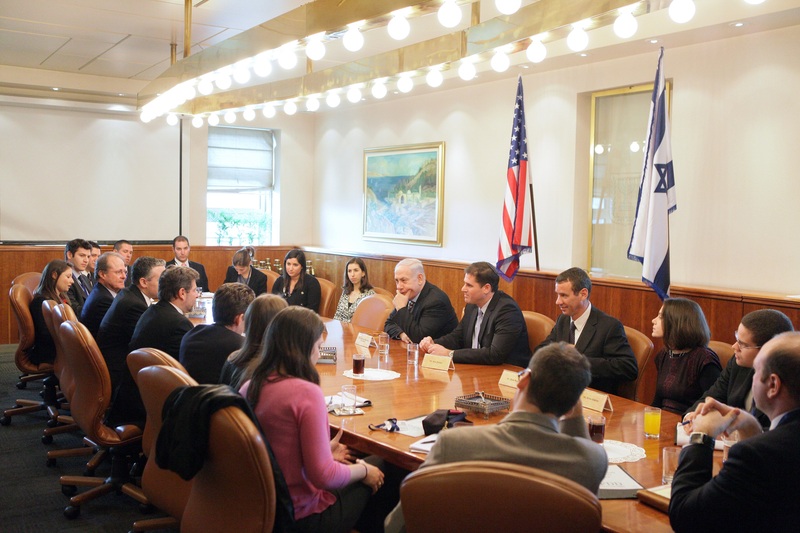 FDD’s National Security Lawyers Trip to Israel is specifically geared towards individuals who have a J.D. and are pursuing careers in national security law, counterterrorism, or foreign policy. Those who are currently working in these fields will have priority, although we will give fair consideration to applicants who have a demonstrated interest as well. I am slightly younger than 30/I am slightly older than 40. Am I still eligible? Those who are between the ages of 30-40 will receive priority consideration, but those who are slightly below and above the age range will also be considered based on their professional background and suitable qualifications. I work at a government agency and am required to submit information about the trip to receive approval for participation. Can you provide me with more information? We are glad to work with you to fill out the necessary paperwork. Please email[email protected] with specific questions. I don’t live in DC or NYC. Am I eligible for the trip? Participants are required to attend pre-trip and post-trip meetings in Washington DC The meetings are tentatively scheduled for the evenings of May 10 and July 12, 2018. As long as you can commit to being in DC for all of the relevant programming, your application will be considered. Please indicate in your application if you are not DC or NYC-based. I can attend the trip, but I have a conflict with the pre-trip or post-trip sessions. Should I still apply? Participating in the pre and post-trip programming is mandatory. We have found that these sessions greatly enhance the trip experience. Please note in your application if you have a conflict with the pre-trip or post-trip dates. We will consider circumstances on a case-by-case basis. If accepted, can I extend my trip dates? Yes, we encourage you to extend your time in Israel. This will likely result in a $150 change fee for you. Please contact [email protected] to request an extension. Please note that extensions are not always possible and are in no way guaranteed. The airlines place certain restriction on extensions and those rules govern any decision. Will my cell phone work in Israel? FDD has contracted a cell phone rental company with competitive rates. You will have the option of either renting a SIM card (for unlocked phones) or a cell phone. Please contact [email protected] with your cell phone requests. Can I see the participant list and/or trip agenda? Accepted participants will receive a participant directory and a trip agenda prior to the orientation meeting. All hotel accommodations will be double occupancy. We will do our best to accommodate rooming requests. Please email [email protected] with your rooming requests, or if you would like to request a single room (please note that single rooms will require you to pay an extra charge). What if I cannot afford my transportation to New York for the flight from JFK airport to Tel Aviv? Please email [email protected] if you have financial hardship. What should I do to prepare for the trip? Participants will receive a number of books and other reading materials at the first orientation session.